p.s. Want more menu planning goodness? 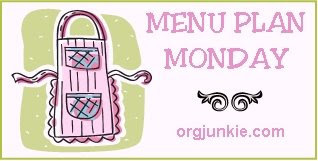 Check out Org Junkie's Menu Plan Monday! I was planning on a pasta /chicken dish fro supper last night then I saw your post. I made the Pasta w/ cream cheese basil sauce. I added Diced chicken a frozen broccoli. It was very good, thanks!